Trello, the organizational tool owned by Atlassian, announced an acquisition of its very own this morning when it bought Butler for an undisclosed amount. What Butler brings to Trello is the power of automation, stringing together a bunch of commands to make something complex happen automatically. As Trello’s Michael Pryor pointed out in a blog post announcing the acquisition, we are used to tools like IFTTT, Zapier and Apple Shortcuts, and this will bring a similar type of functionality directly into Trello. “Over the years, teams have discovered that by automating processes on Trello boards with the Butler Power-Up, they could spend more time on important tasks and be more productive. Butler helps teams codify business rules and processes, taking something that might take ten steps to accomplish and automating it into one click,” Pryor wrote. This means that Trello can be more than a static organizational tool. Instead, it can move into the realm of light-weight business process automation. 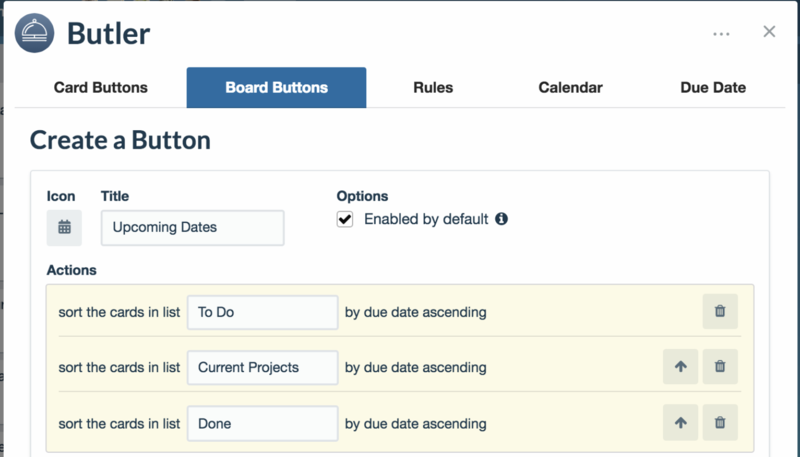 For example, this could allow you to move an item from your To Do board to your Doing board automatically based on dates, or to share tasks with appropriate teams as a project moves through its life cycle, saving a bunch of manual steps that tend to add up. Atlassian bought Trello in 2017 for $425 million, but this acquisition indicates it is functioning quasi-independently as part of the Atlassian family.